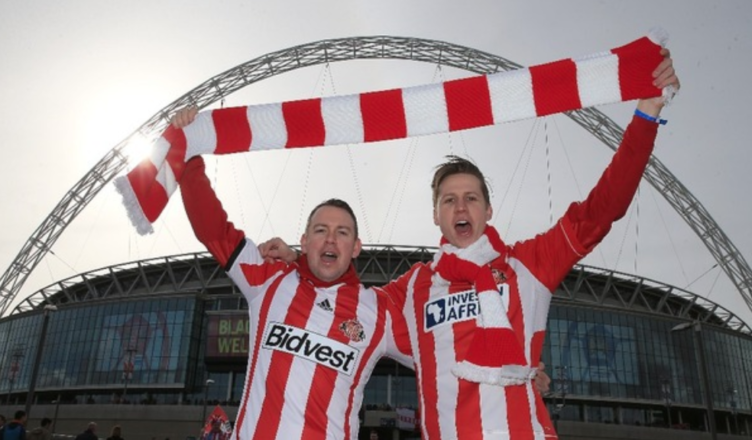 Sunderland fans embarrass themselves ahead of Sunday’s trip to Wembley – This is unbelievable.. – NUFC blog – Newcastle United blog – NUFC Fixtures, News and Forum. If gloating about the fact they’re going to Wembley – via their League One status – wasn’t bad enough, Sunderland fans have now created a petition demanding that the Checktrade Trophy winners gains a spot in Europe. This comes after their run to the final of a competition that saw their first team play our kids earlier in the season, with them due to play Portsmouth at 2.30pm on Sunday. As you can see below, there’s now a change.org petition being sent around asking for the winners of Sunday’s final to gain a spot in next season’s Europa League. Yes, really.. Even our official shirt sponsors FUN88 found it funny. Don’t get me wrong, I can see why this final means a lot to the Mackems given their last few seasons has been nothing but disaster upon disaster following back to back relegations, but a competition that sees your first team compete against Premier League sides U-23’s just shows how far they’ve fallen. They’ve done well, they’re slowly turning it around and they may well enjoy their big day out this weekend, but the fact I’ve seen a few Sunderland fans gloating that they’re going to Wembley and we aren’t is laughable at best. We’ve played their in February – in the Premier League. Good luck to them, although they might struggle with the lack of cheesy chip vans in the Wembley area, but there is a Macdonalds so their food will be covered…. You know it really is a shame that we can’t hve a rivalry with getting ****ty about is. That’s to both sets of fans btw not just those of. Black and white persuasion. It’s pointless point scoring off one another in this way it gets nowhere. Let’s save it for future derbies. Eg nufc have a **** owner with tonnes of money we now have a great owner with way less money. Nufc have a very experienced manager who in my opinion is excellent. Sunderland have a relatively new manager who is going well. See we are different and great in our own way. And if you can’t see that the petition is just banter then I think says more about you than it does about safc fans. Don’t forget how we all pulled together in times of tragedy and would do at the drop of a hat. We’ve been up you’ve been down. We’ve been down twice you’ve been up. Just be careful to enjoy your day as soon enough the tide could turn and the check a trade might be what you have to look forward to. bloody hell, its an obvious joke. By the way true football fans turn up to support their team in any game in any league and if a trip to Wembley is the destination then you go and enjoy the experiance whatever the trophy is. It’s just a pity all three north east teams are not in the premier league. There is nothing better than the tyne,tees,wear derby games. Fight for bragging rights from three wonderfully supported teams. From a wonderful part of the country where all people deep down love football. Good luck to them this weekend because they deserve a big day out after all the club has been through in the last couple of years. I think this will be the biggest final that trophy has ever had with them and Pompey contesting it. Wembley will be packed to the rafters and it will definitely be a game worth watching and it should be good. That daft petition will have been put there by one divvy and hardly the consensus of all their fan base !